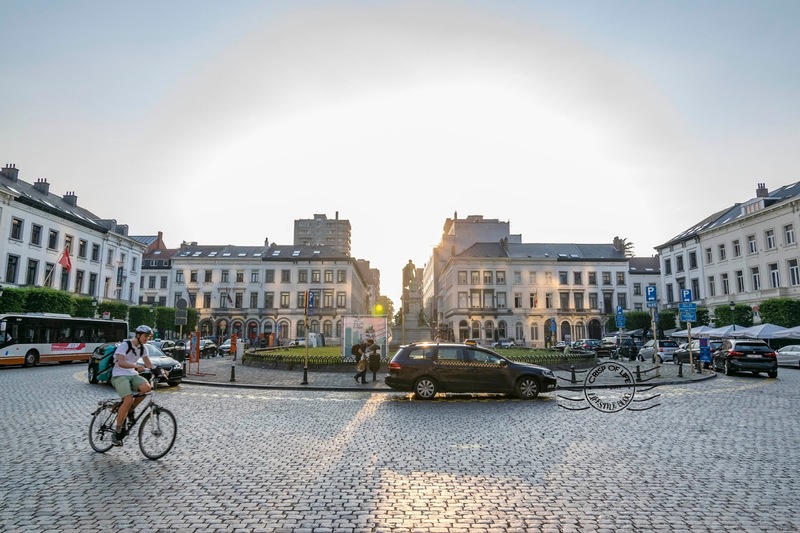 Belgium, a land of architectural wonder with flair from both Gothic and Medieval influences. 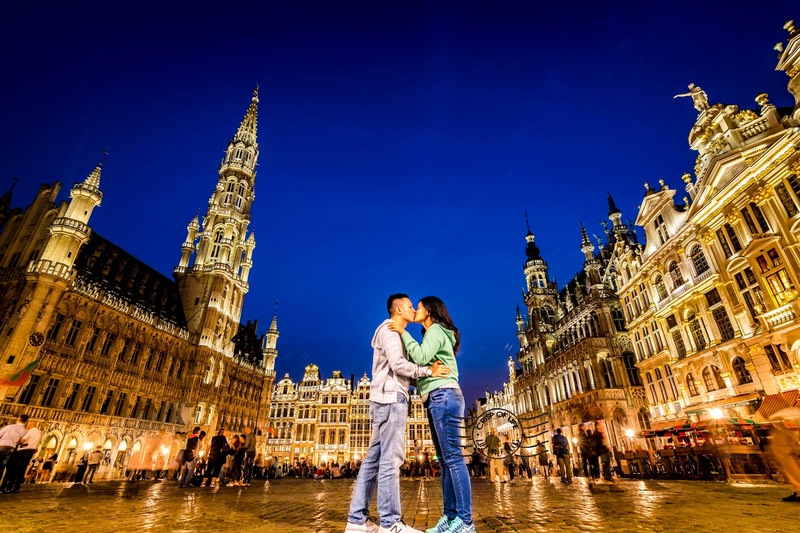 There were doubts and questions thrown to us when we decided to spend 4 days 3 nights in Belgium during our impulsive 16 days Europe trips. 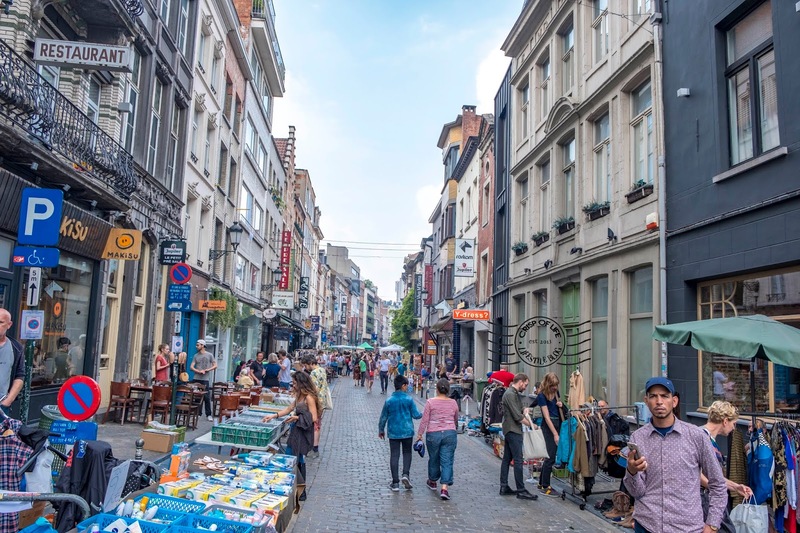 Some thought we should spend the time venturing into neighbouring country such as Luxembourg or Netherlands (as people used to visit Netherlands, Belgium and France in a stretch) instead but the truth is, it was a right decision. 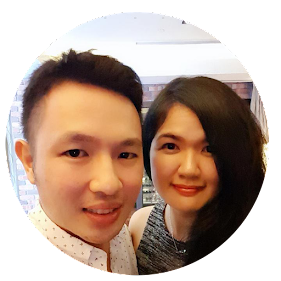 We were rewarded with awesome gastronomy experiences, astonishing photography opportunity, good & bad people encounter and overall a delighted journey here. Wish there were more time for us to spend here! The train was cancelled due to SNCF Strike! Thus we were stranded at Charles de Gaulle Airport for 3+ hours, only to board the next train at 10am to Brussels MIDI. 3 hours waiting at airport was torturing. Basically we had nothing much to do other than doing some researches on our trip utilizing the airport WiFi. Coupled with the minimal sleep we had during the long-haul flight, it was dreadful! 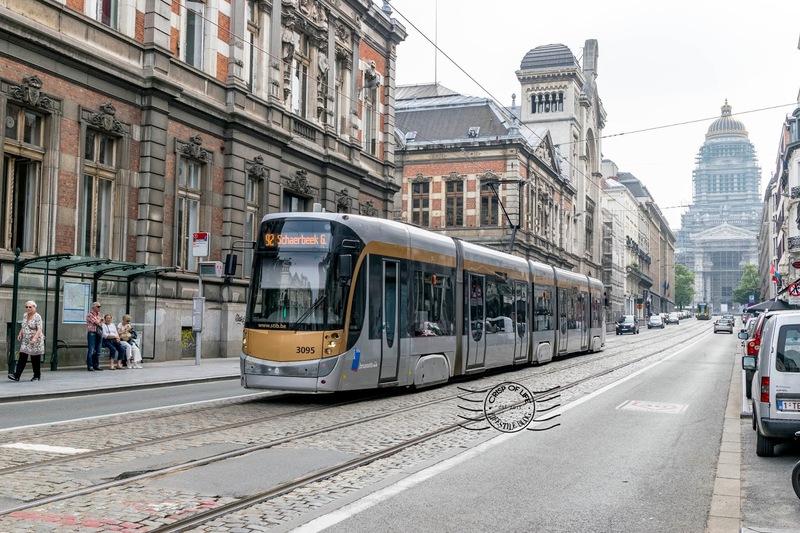 After checking into Hotel Ibis Brussels Centre Gare Midi, which is located directly opposite of the train station upon arrival. We put our luggage and then off we go to explore Brussels! 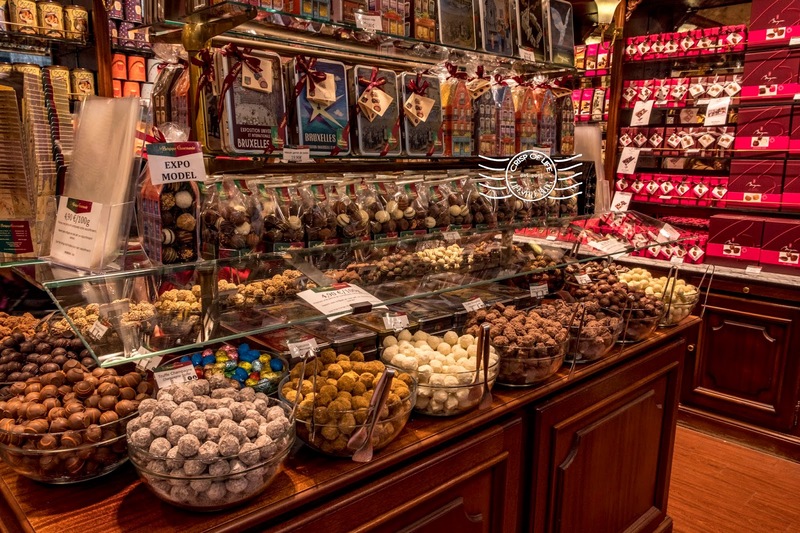 Let's have a look at the food & attractions we have visited in Brussels within 2 days 1 night. Despite its name, the French Fries are not French. It is originated from Belgium and why would you not having French Fries here? The best part of having French Fries here is you can choose different types of interesting condiments, although the condiment comes in additional cost (typically €0.5). Nevertheless, do not save on the money as it is the condiments that make the differences! 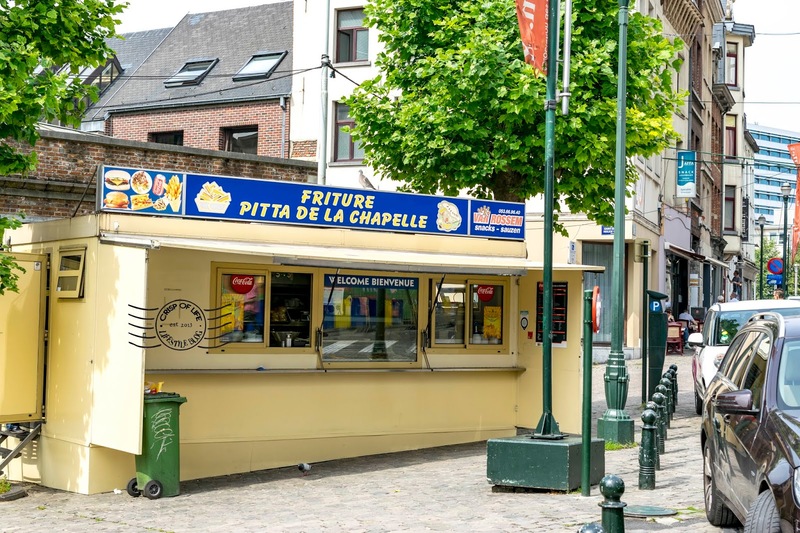 Spotted this style - Friture Pitta De La Chapelle during our random walk to Grand-Place de Bruxelles. Cost €3 including pili-pili sauce. Thick and nice fries! 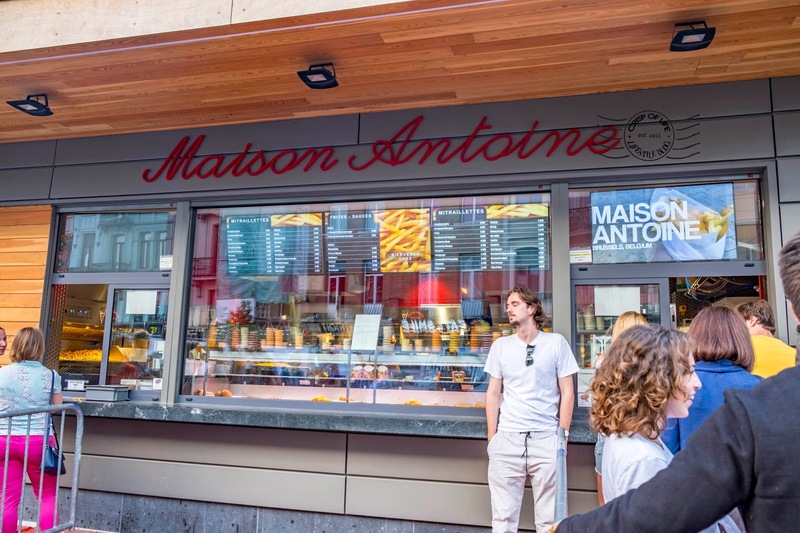 Locals lauded Maison Antoine in Plaza Jourdan has the best French Fries. 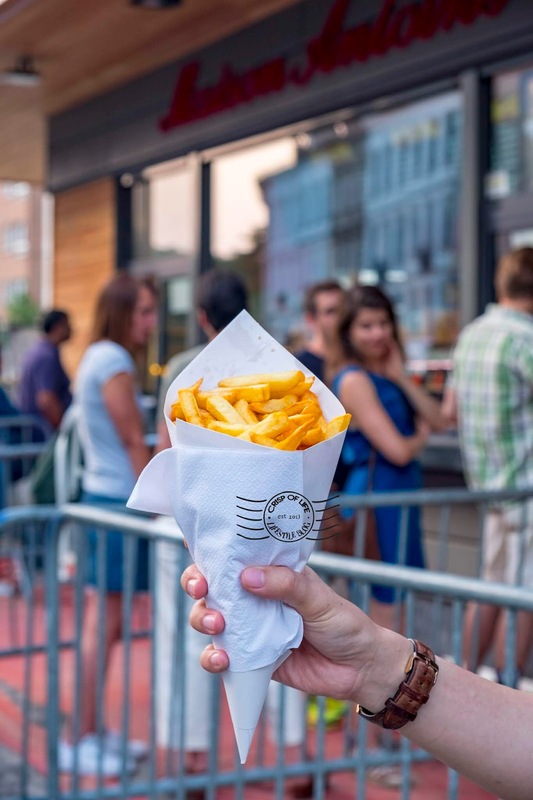 Even when we are holding the bouquet of Fries walking pass some locals chilling at the al-fresco bistro, the locals ballyhooed how great is this fries which no where else can compete. Yes, that is true. We waited 30 minutes for our fries and there was an exodus of crowd forming queue, all just for French Fries! Cost us €3.1 for a grand frites and €0.7 for the special sauce (mixture of mayonnaise, ketchup and onion). The fries crispy on the outside and fluffy inside, indeed superb in taste! 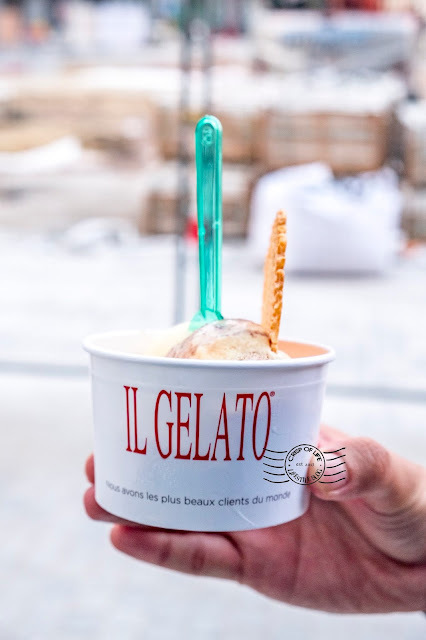 Although Gelato is an Italian thing but we just find it is appeasing to have something chilling after exhaustion from walking around in Brussels. The array of flavour available displayed at the Gelato counter appealed to us to come and get a few scoops of it. Il Gelato is located nearby to Maison Antoine at Place Jourdan. Cost €3.6 for 2 scoops - Passion fruits & Rocher. Yummy! 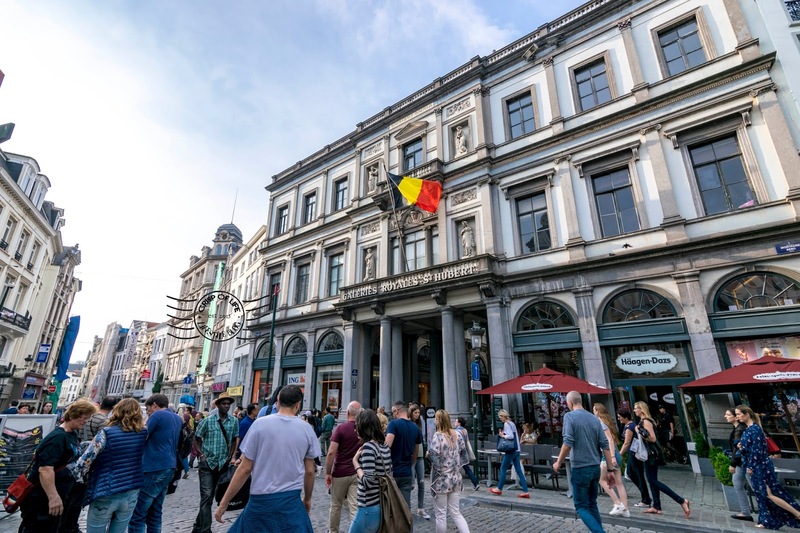 Walking along the streets in Grand Place and you will see tourists juggling a precarious thin paper plate with waffles and a variety of colourful toppings or ice cream, then struggling to take a bite on it (we supposed locals should have mastered the skills). True indeed, waffles are akin staples to Belgium folks and there are over a dozen of waffles variety here. 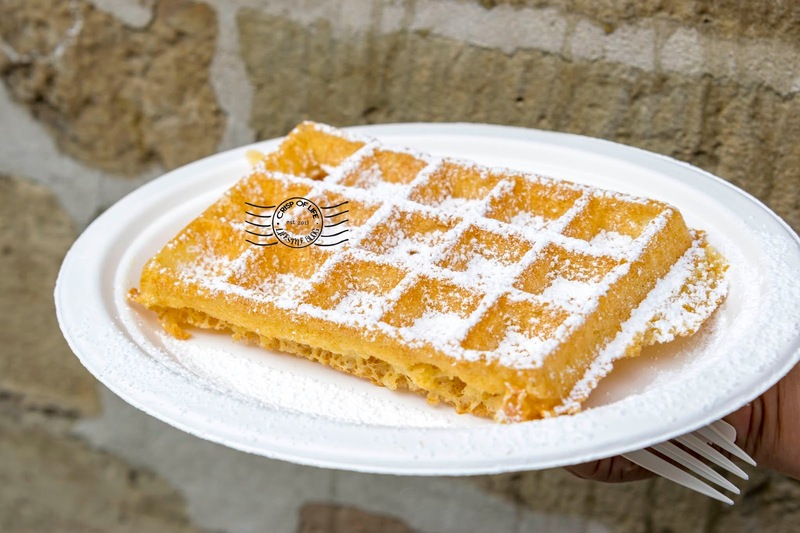 Anyhow, the two most popular variants are Brussels Waffle and Liege Waffle. 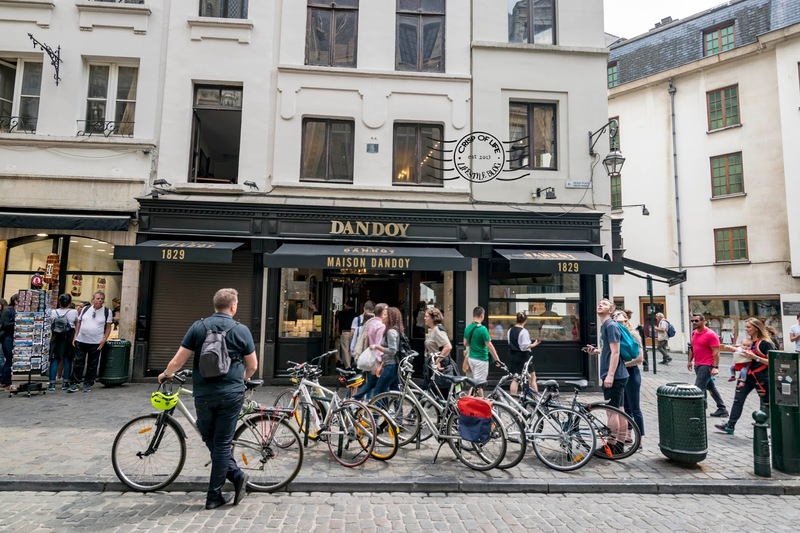 Maison Dandoy is dubbed to serve the best waffles in Belgium judging from their popularity online. 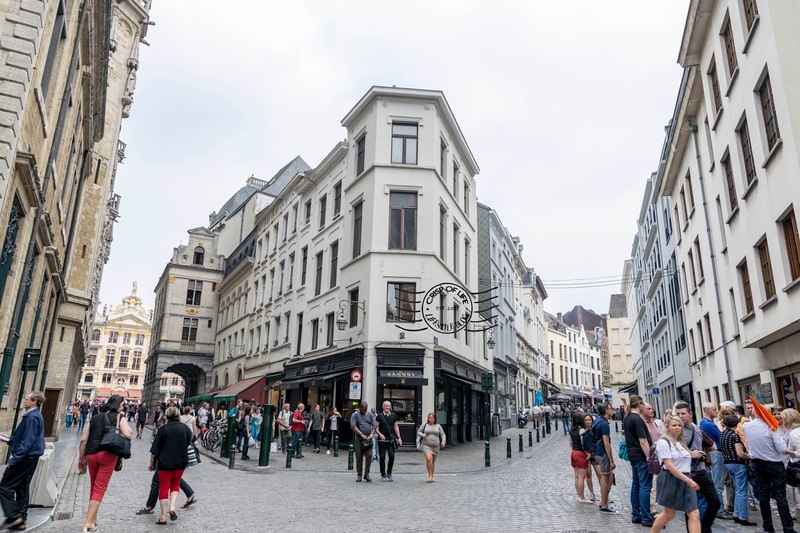 Its location is a convenient as it is just a stone's throw away from Grand Place. However, price is premium here too. 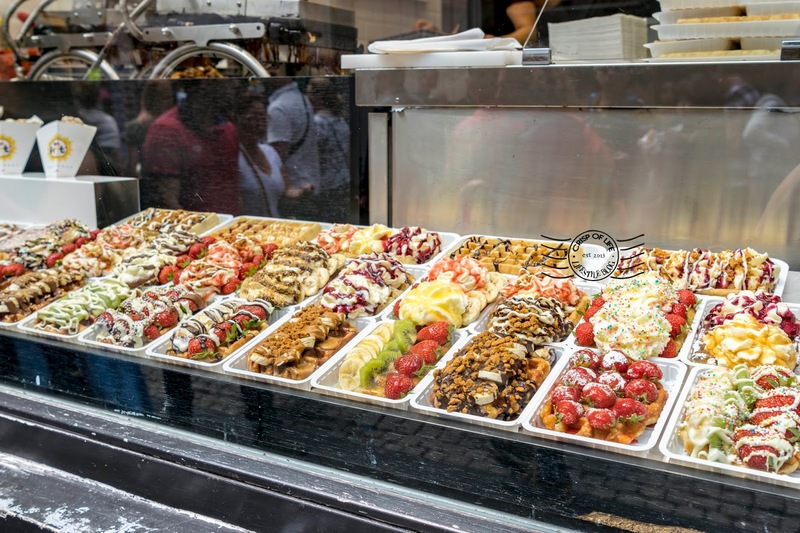 One Brussels Waffle fetches €5.50 without any topping and a Liege Waffle with 2 toppings is €6.75. Meanwhile, there are other shops selling waffles at €1 - €3 each but we have faith over the quality of waffles here. It may look simple but Brussels Waffle is an indulgence. Dusted with confectioner's sugar bites, it is crisp on the outside while light and fluffy inside. 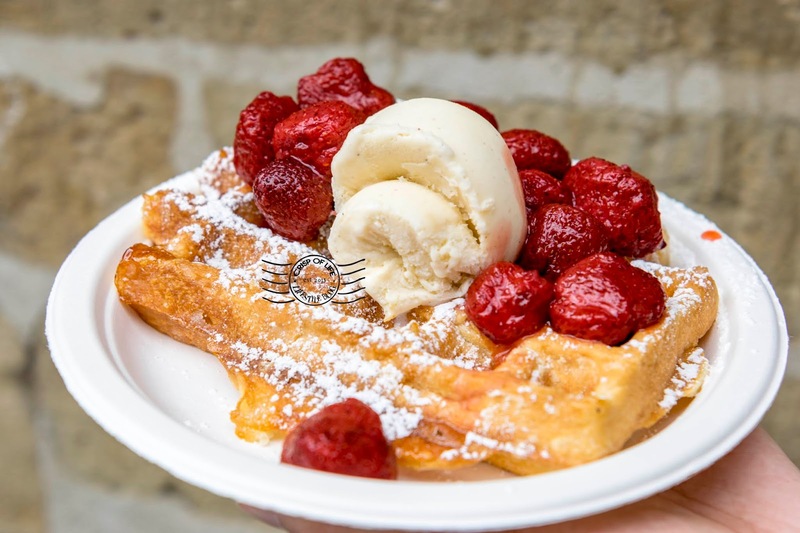 On the other hand, Liege waffle is denser and doused with maple syrup together with the confectioner's sugar, and we really enjoyed how the cooked strawberries complemented its taste. 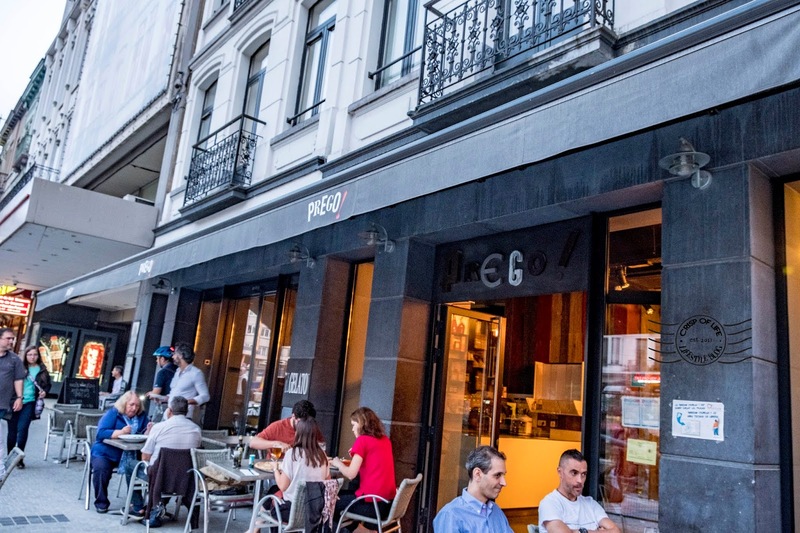 Definitely a must try in Brussels! 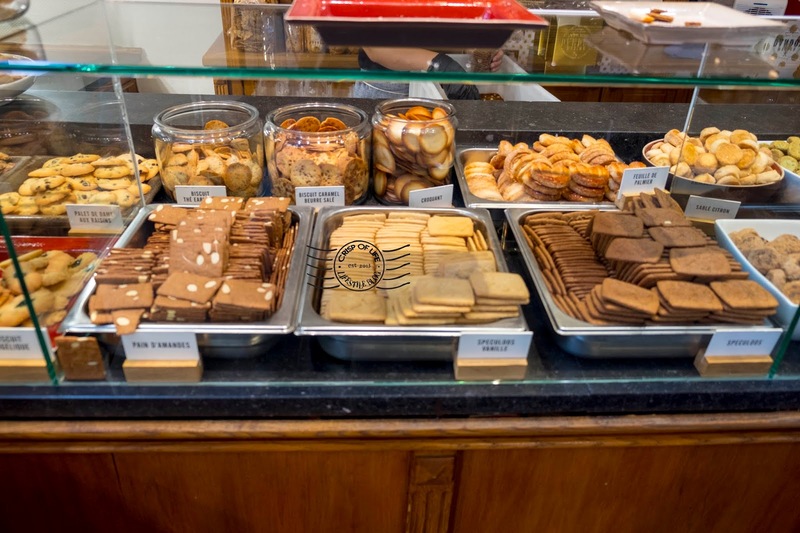 Speculoos is a type of shortcrust biscuit native to Belgium and Netherlands, you can get them at Maison Dandy's cookies counter. 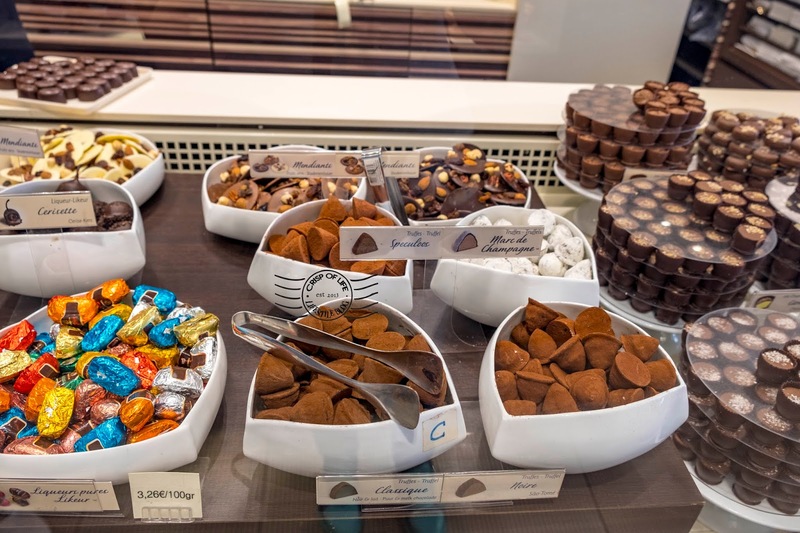 Pass by any Belgian chocolate shops and those having a sweet tooth will be screaming for sure. 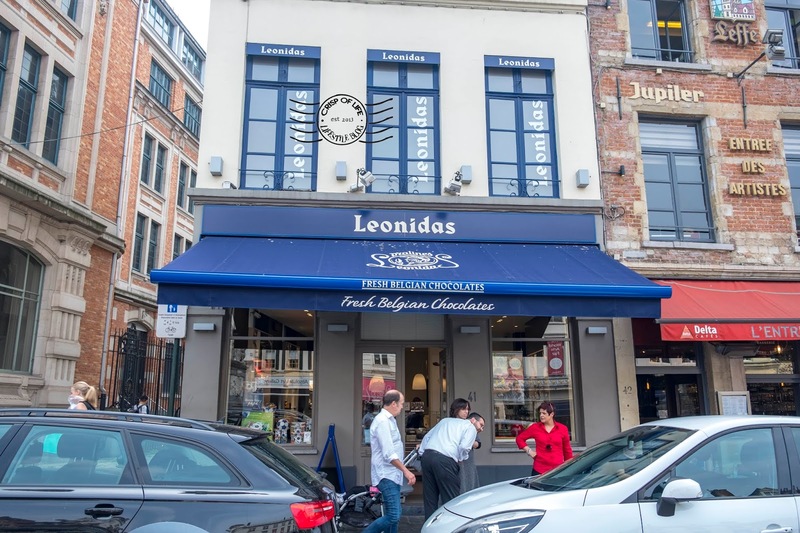 Just to name a few of famous brands - Godiva, Leonidas or Côte d'Or, Belgium is a country where many of the world's famous chocolatiers produce their finest chocolates here. 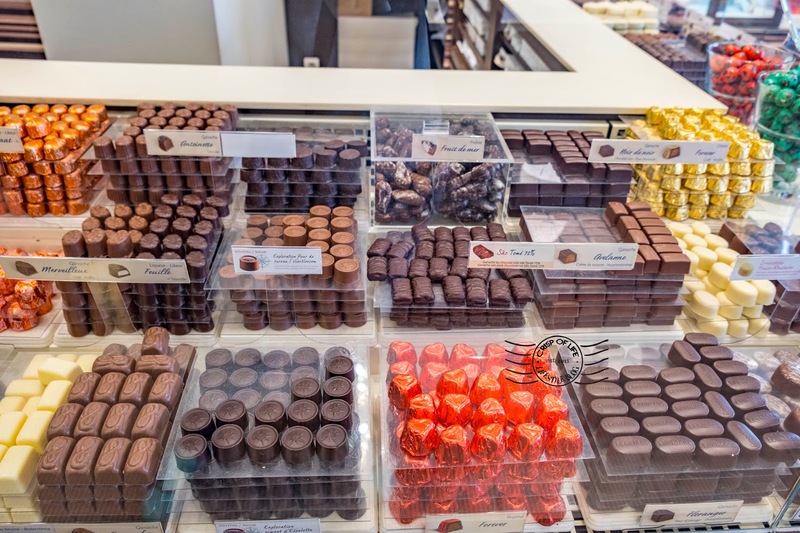 There are easily more than hundreds of chocolate shops in Brussels. 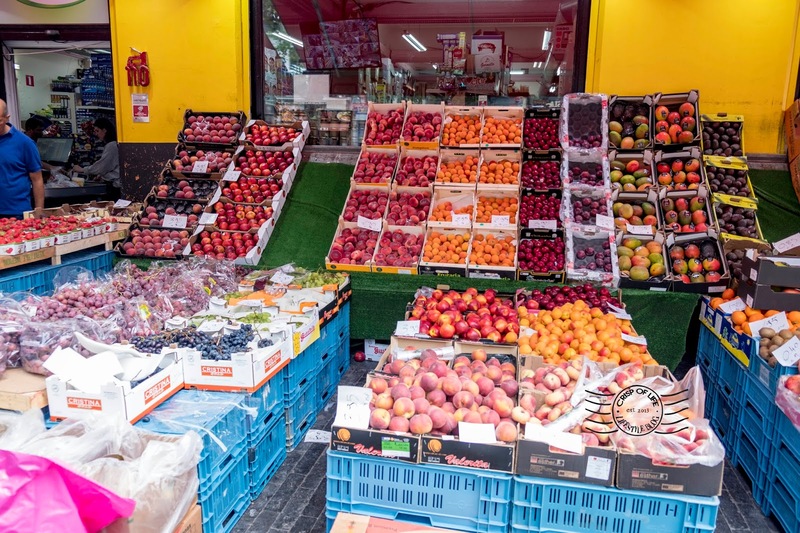 Go in and have a look, taste some samples, and control your budget on what to buy as it is too easy to go on a money splurge here. 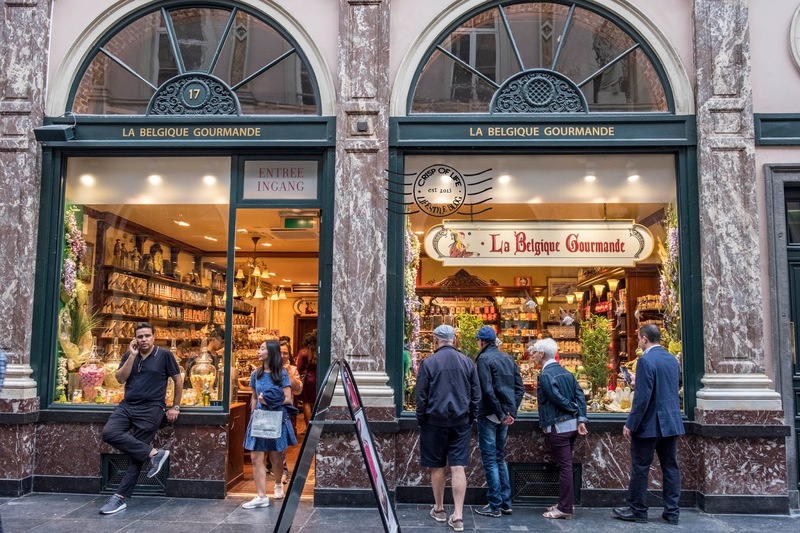 The first stop we had was at La Belgique Gourmande. 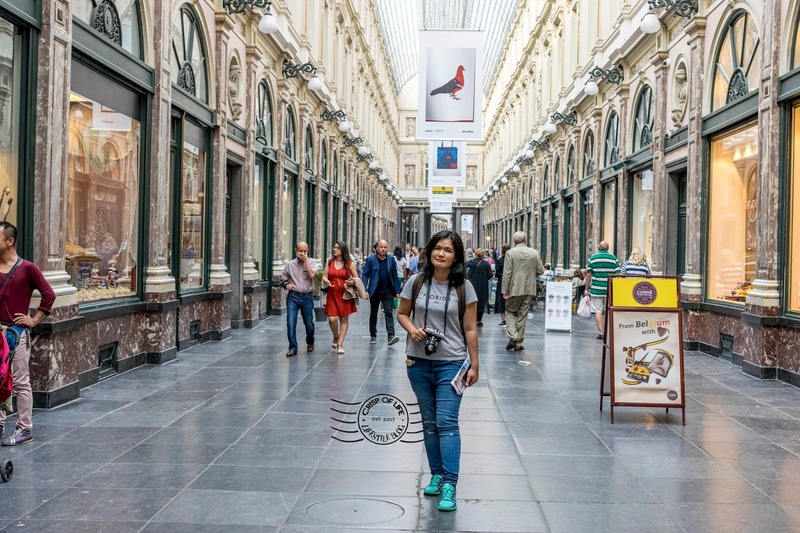 They operated a number of outlets in Grand Place therefore it is hard to miss them. 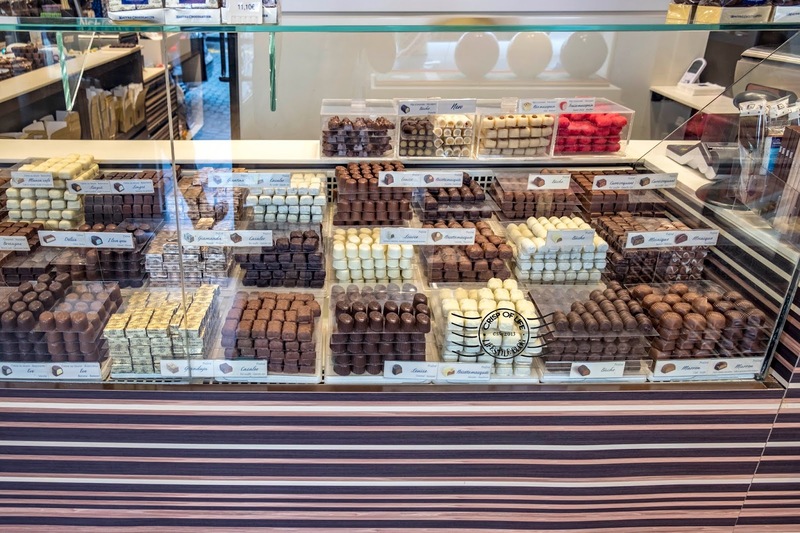 We ordered a few truffles here and found it was too sweet for our liking. 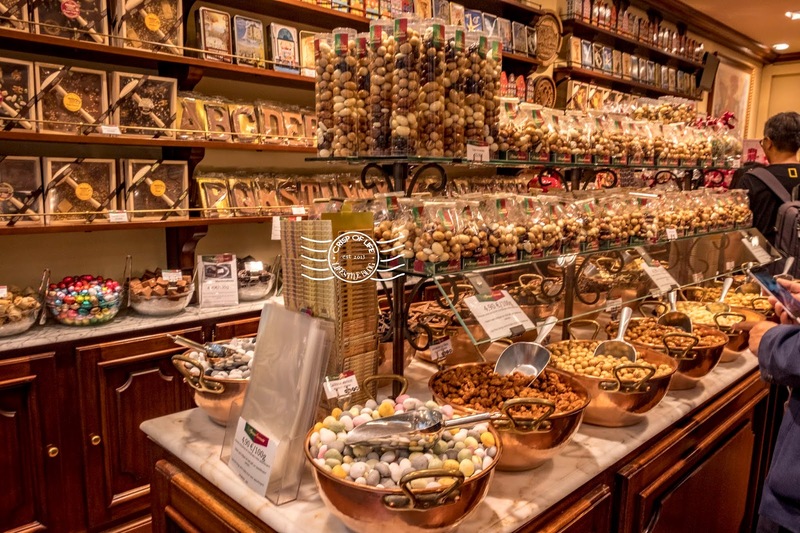 The next day we walked randomly into a Leonidas' shop and bought a pre-packaged Pralines for €9. 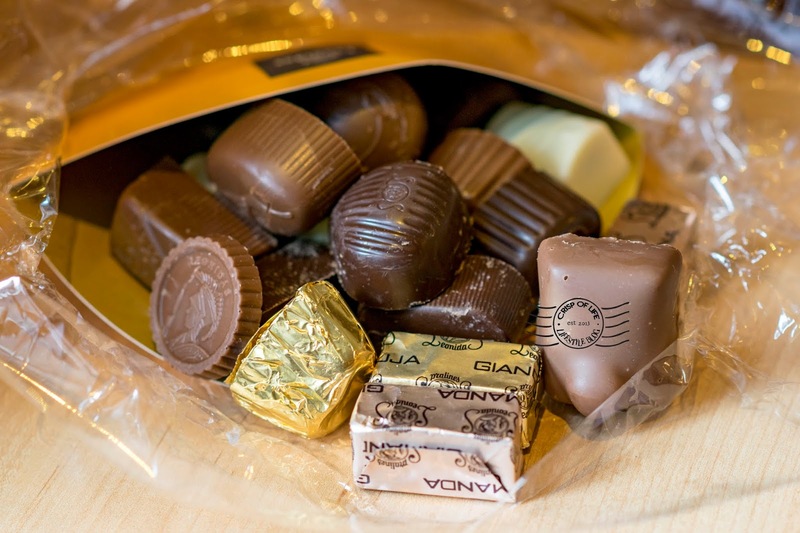 As a matter of fact, you can choose which pralines to have and get them to pack for you but language communication was a barrier. Anyhow, these pralines are awesome and we actually just have it as breakfast for few days continuously. Why would you miss the Belgian national dish, Moules-Frites (Fresh Mussels & Fresh Fries) when you happen to be in Brussels? 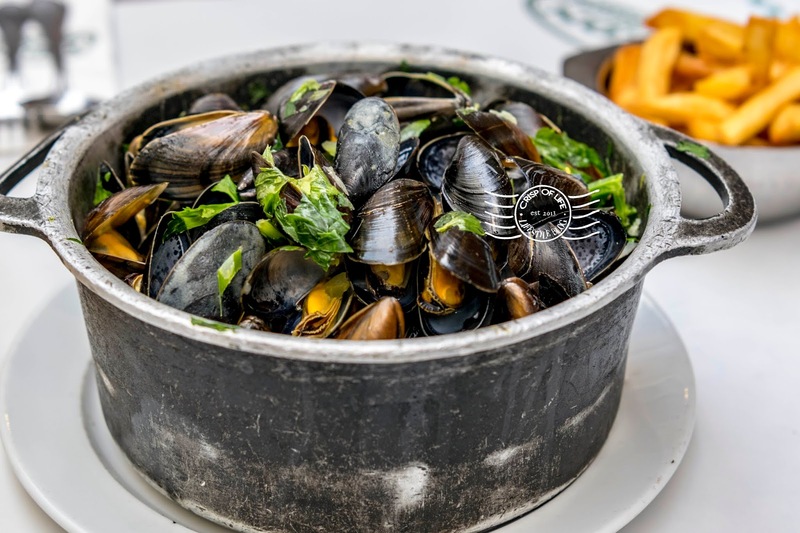 The stories started in the 18-th century wintertime, where there was a shortage and fish and mussels became a cheap alternative, then it was quickly adopted by Belgian families as their national dish. Though variations of the sauces may vary, usually the mussels will be cooked or steamed with onions and celery, then served with fries. 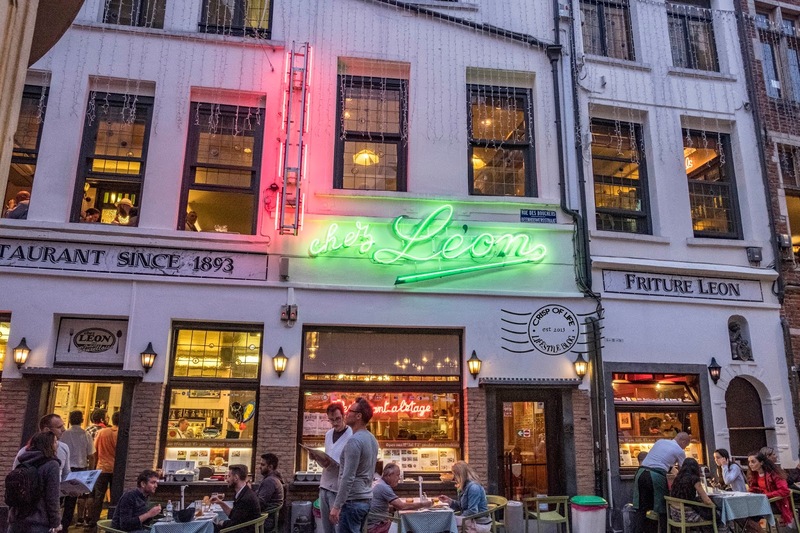 One of the best place to enjoy the classic Moules-Frites is Chez Leon with the inception date since 1893. The pot of mussels do not come cheap at the price tag of €25.55 (white wine) but definitely worth the quality. Never in our life we have tasted mussels at such fresh state, and the celery contributed a good herb taste. As we consumed the mussels, the soup became increasingly briny which gave you a true sensation of the sea. Do take note that each sitting pax should order at least either a drink or meal here. 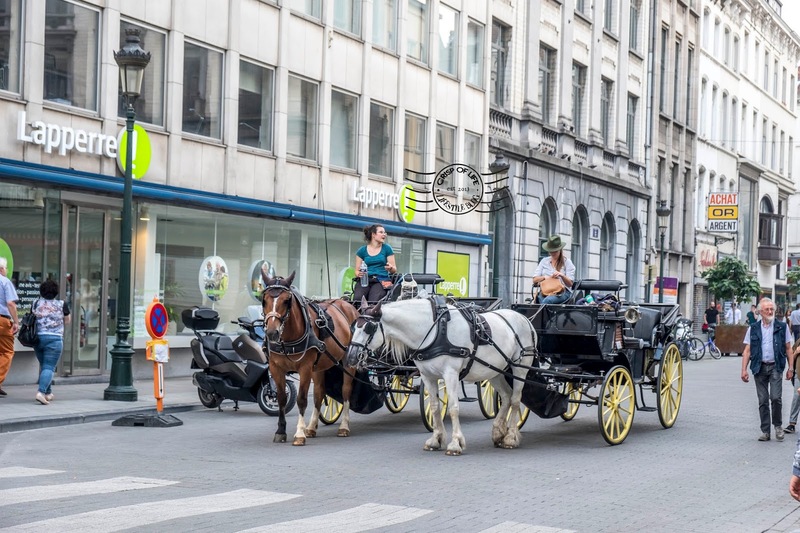 Do you know you can witness Guinness World Record holder in Brussels? Yes, go to Delirium Cafe and the holder is right there! 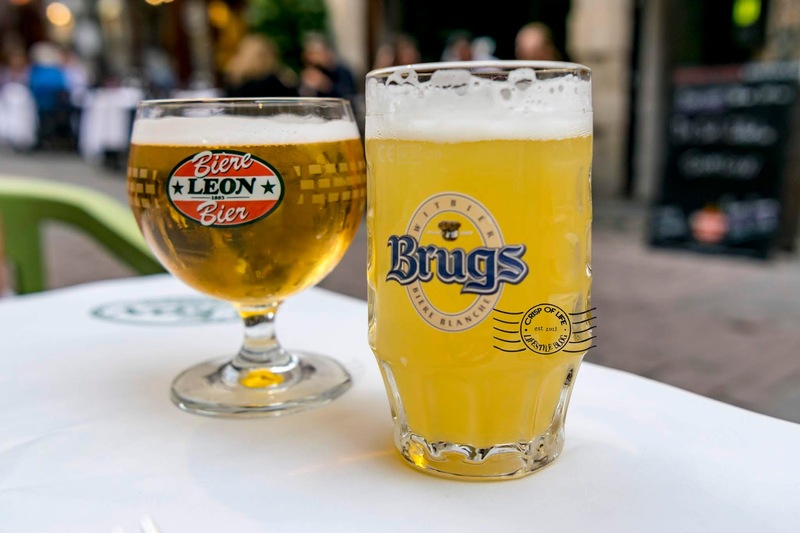 The cafe joined by 7 shop lots boast of having more than 2000 beers from the world and is one of the most happening alley in Grand Place. 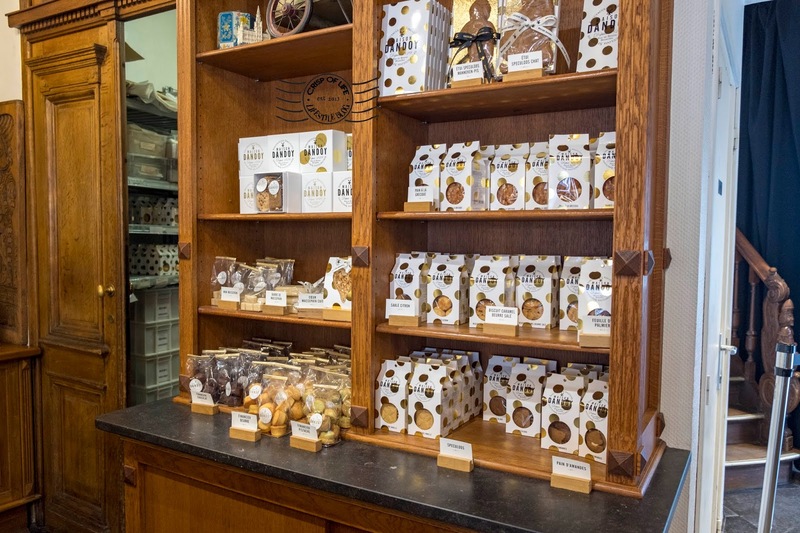 From the Trappists, famous Belgian Abbay, strong brown beers, fruits or lighter from Belgium, chocolate, banana, walnut Coco, spics, hot pepper, ginger bread to gluten free beers, everything can be found at Delirium Cafe! 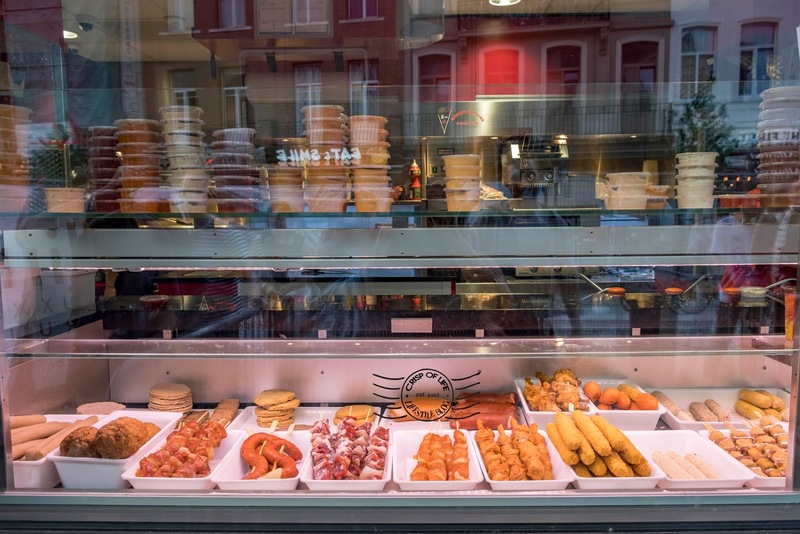 Head over De Nordzee and enjoy fresh selection of seafood such as a plate of razor clams, a tuna steak, oysters, home-made shrimp croquettes in a different way - street style. 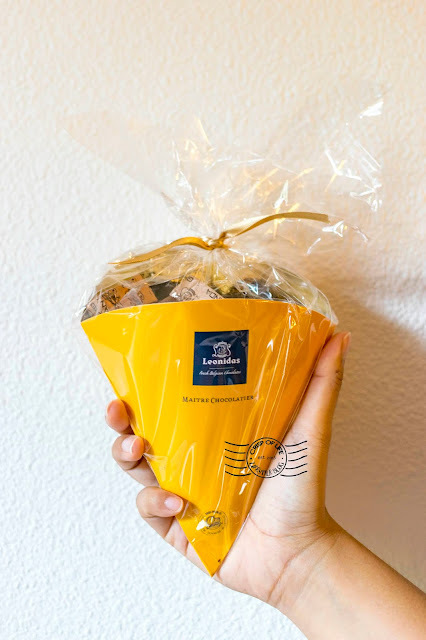 The crew will take note your order and input your name, then once your orders are ready, they will shout your name to collect the goodies. Thus, make sure your names can be pronounced by them! 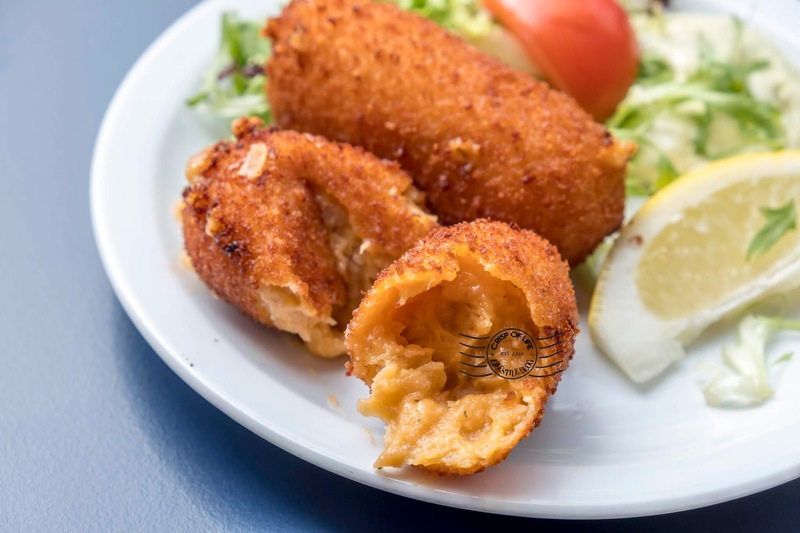 We thought the Shrimp Croquettes are special. It has a dense and rich filling encrusted with a crispy skin. Two pieces are priced at €13. Grand Place is an UNESCO World Heritage Site. 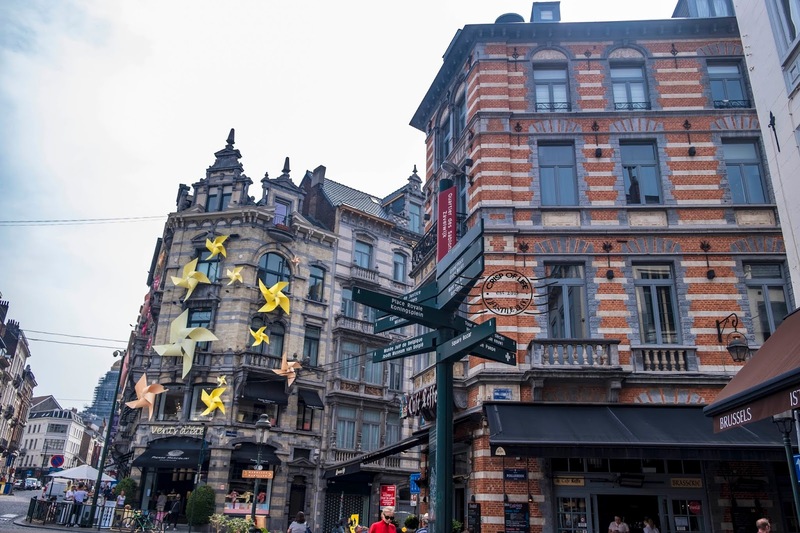 The central square of Brussels is magnificent place is a wondrous to look at and provide many photographic opportunity. Come at both day and night time to get a different feeling of Grand Place. Nevertheless, Grand Place is always full of people so be prepared to be photo bombed by random tourists. This tiny bronze statuette at a public fountain is a legendary figure in Brussels. He has been given numerous costumes and decorations on different occasions, which explains why tourists swarm to him to take photograph. Manneken-Pis is dressed by an employee of the City. 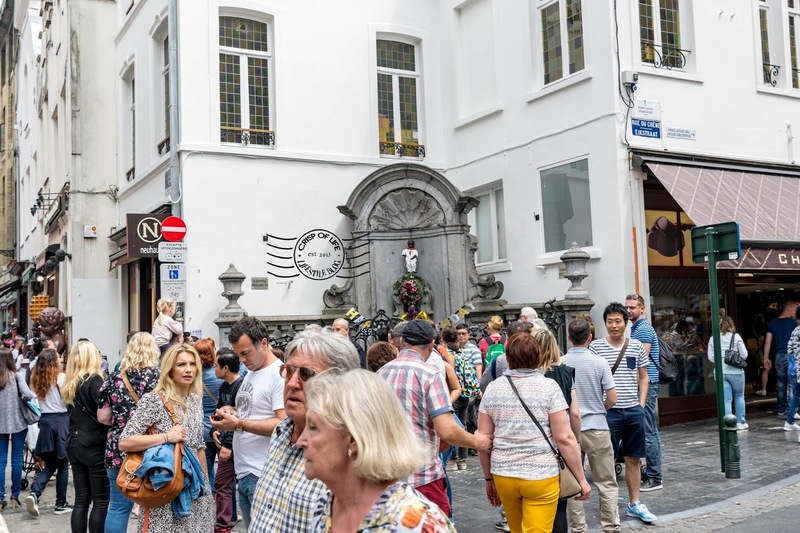 To date, 23 dressings are planned on fixed dates and Manneken-Pis regularly received new suites. Gift (new suites) can be sent to Board of Mayor and Alderman for review by the committee. 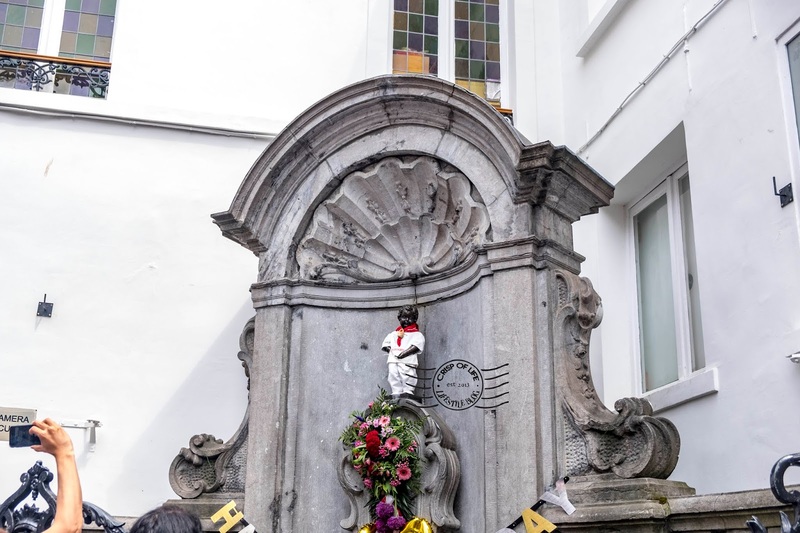 There is a female counterpart of Manneken-Pis - Jeanneke-Pis. Meet the dog who is forever lifting his leg to pee onto a Brussels street pole - Zinneke Pis. Well, it is a bronze status and not a real dog which was sculptured by a local sculpture, Tom Frantzen. Although not as historical as Manneken-Pis, the dog still looked very much adorable! 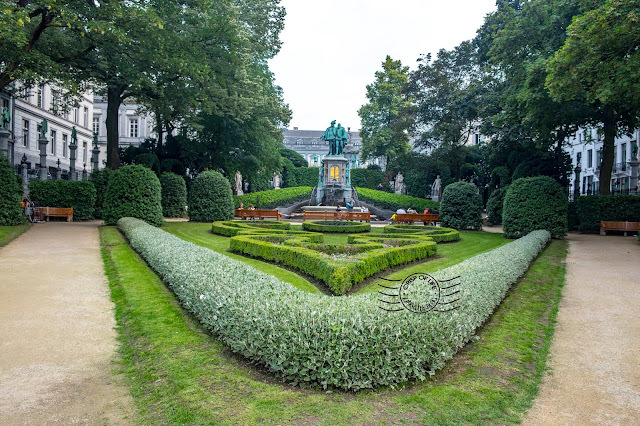 The geometrically garden is an urban complex and historic site in the centre of Brussels. Apart from the beautiful garden, Royal Library of Belgium, National Archives of Belgium and the Square - Brussels Meeting Centre is here too. 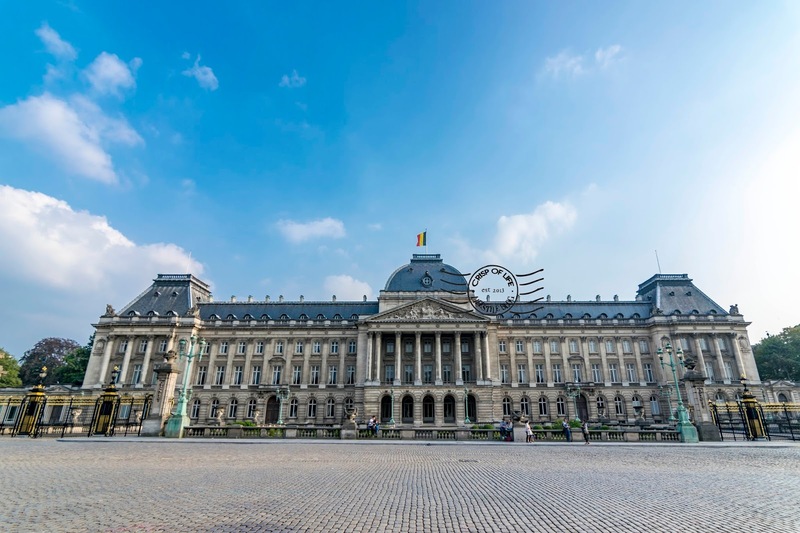 Despite being the official palace of the King and Queen of the Belgians in Brussels, the King and Queen did not used it as a royal residence. The palace has a tradition of opening its door to the public every summer. Visitors will have access to certain rooms of the palace, like the Mirror Room with the artwork "Heaven of Delight". The artwork consists of thousands of beetles stuck to the ceiling. Outside of the Palace is status of Godfrey of Bouillon, the leader of first crusade is 1096. 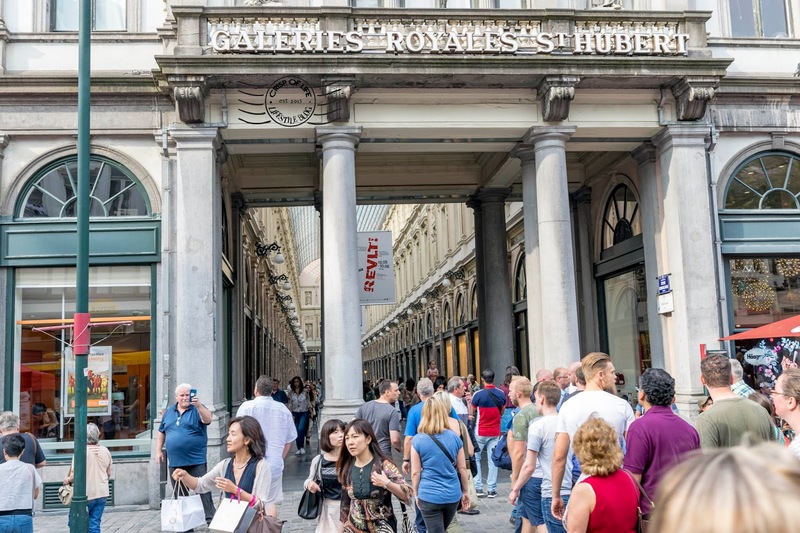 The spectacular Galeries Royales St Hubert near to Grand Place de Bruxelles is a shopping arcade. 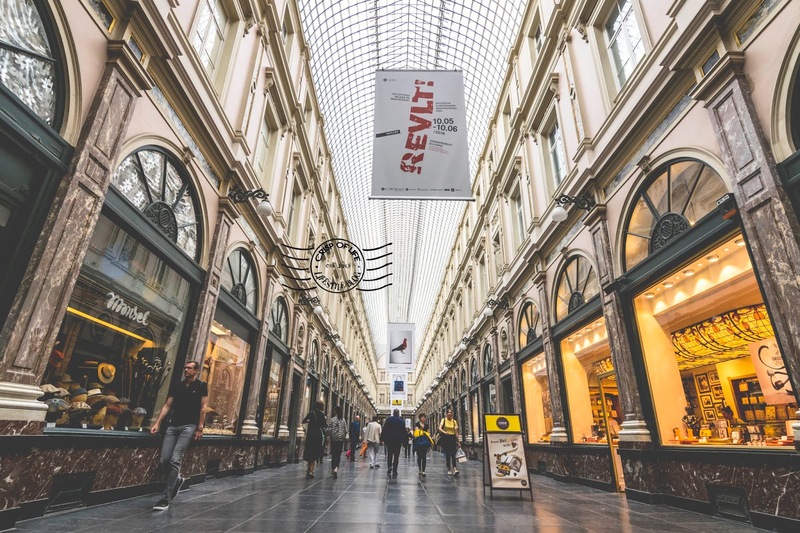 The gorgeous arcade with glass roof shielded many shops, auditoriums, cafes, restaurants and apartments for your shopping spree, shall your budget allows. Other than shopping, the gallery also offers Instagrammable opportunity. Its symmetrical twin regular facade in the long narrow street with glazed arched shopfronts separated by pilasters, under an arched glass-paned roof makes an excellent Instagram feed. 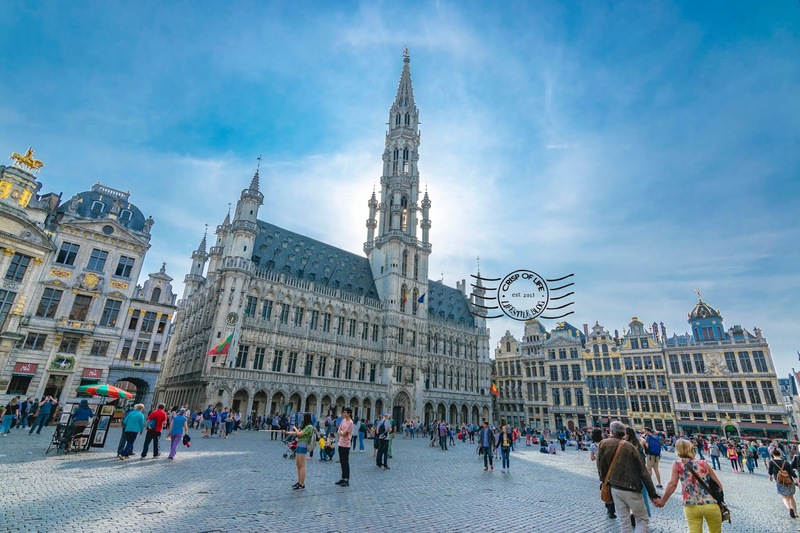 The symmetrical square is decorated with 48 bronze statuettes which represent the ancient crafts once practices in Brussels. There are 10 statues decorating the rear of the park, illustrating the revered scholars and humanists in the 16th century of Belgium. The statues of the Counts of Egmonet and Hornes are erected in the centre, symbolise the fight against Spanish tyranny in the 16th century. A good place to take photos and rest. 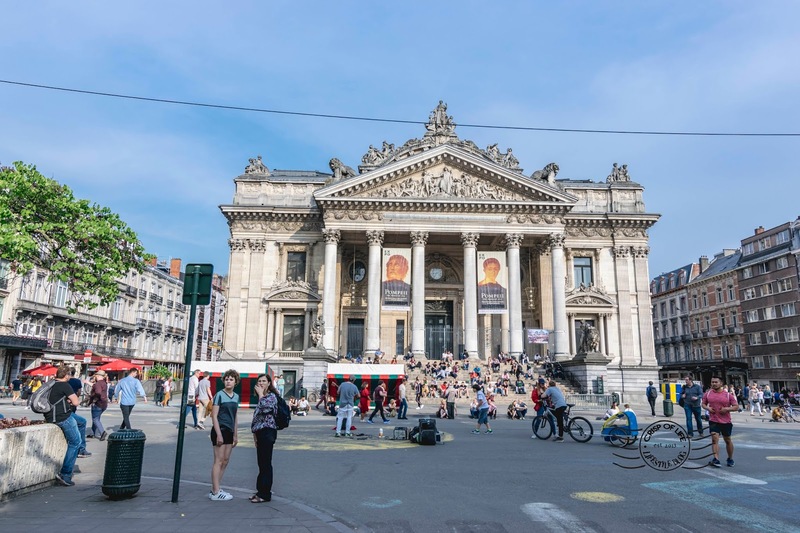 The place adjacent to Palais de Justice - Place-Poelaertplein offers you a public spot to get some views of landmarks in Brussels. 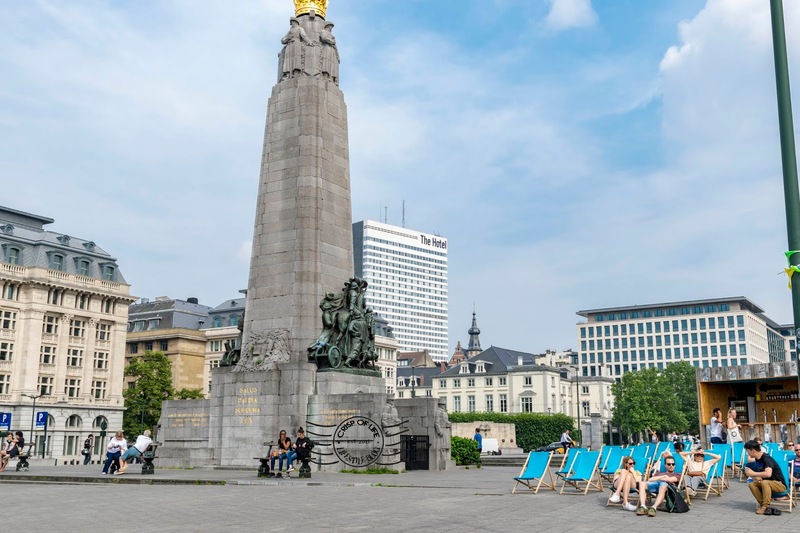 There is Monument A la Gloire de I'Infanterie Belge erected in memory of Belgian food soldiers who fought in World War I and World War II, and Anglo-Belgian Memorial, which was commemorated the support given by the Belgian people to British prisoners of war during World War I. 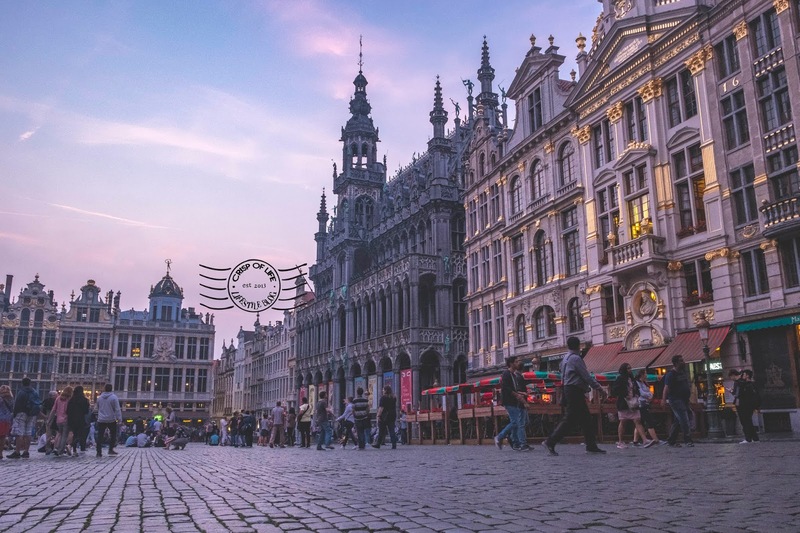 Are you aware the popular comic figures - Tintin, Spirou and Smurfs were born in Brussels? 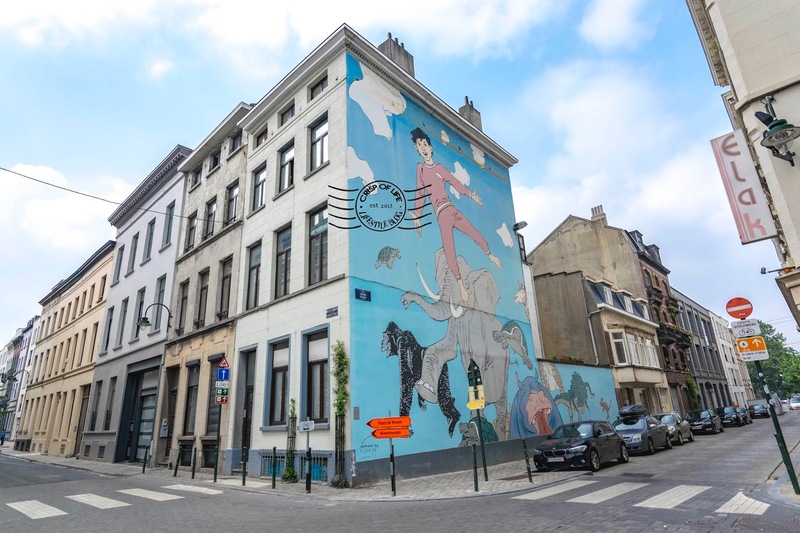 Now there are easily more than 50 comics walls invading various spots in Brussels. 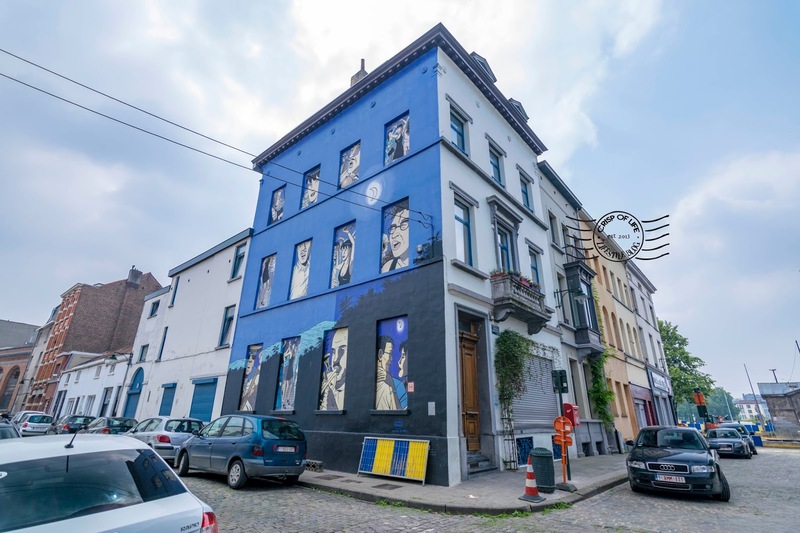 For those who don't want to miss a thing, you can get a mini map of the comic strip itinerary at the Visit.Brussels tourist information centre for €1. 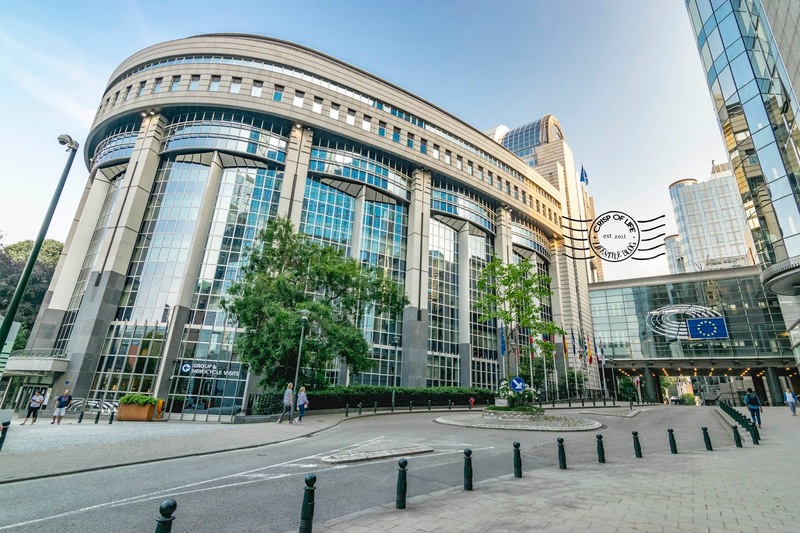 Though European has no official capital, but Brussels is the de facto capital by hosting one of European Parliament, as well as the official seats of the European Commission, Council of the European Union and European Council. 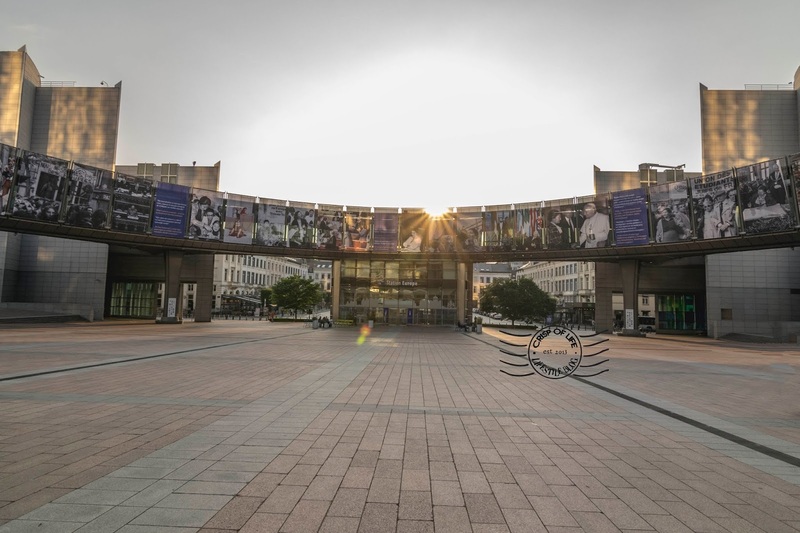 Visit the House of European History to understand the vibrant history of European Union (EU), including its ups and downs in the journey, or visit the heart of European democracy - European Parliament Hemicycle at your own pace with a multimedia guide. All visits here are free of charge. 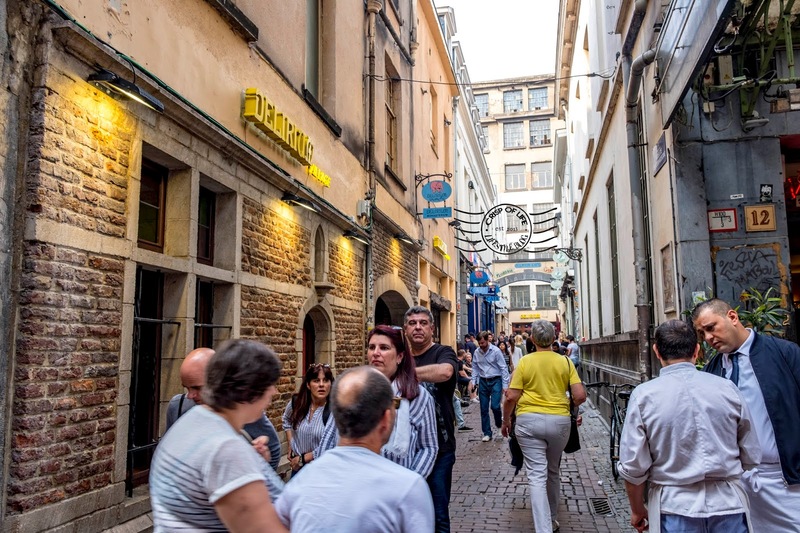 We spotted Rue Sainte-Catherine, a stone's throw away from Grand-Place features a range of Asian restaurants. 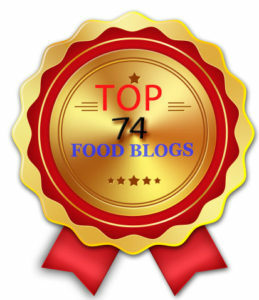 Should you need to get some Asian delights after a long travelling in Europe, then here is the place you should come to. Apparently there was a flea market / street market ongoing and there were some pretty good deals too - books, apparels, souvenirs and etc. There are some good local restaurants too. 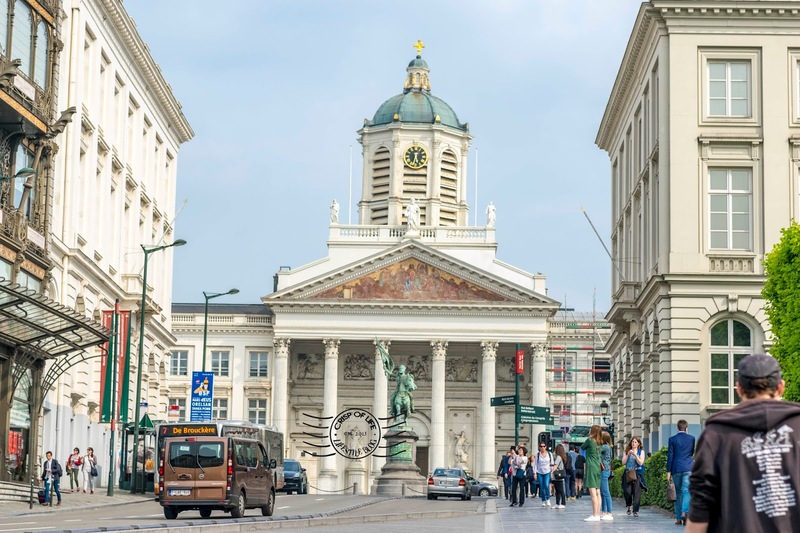 There are plenty of chapels and churches if you were really into visiting them in Brussels. One of the interesting one - Eglise Notre Dame de la Chapelle is remarkable due to its Romanesque and Romanesque-Gothic architecture. 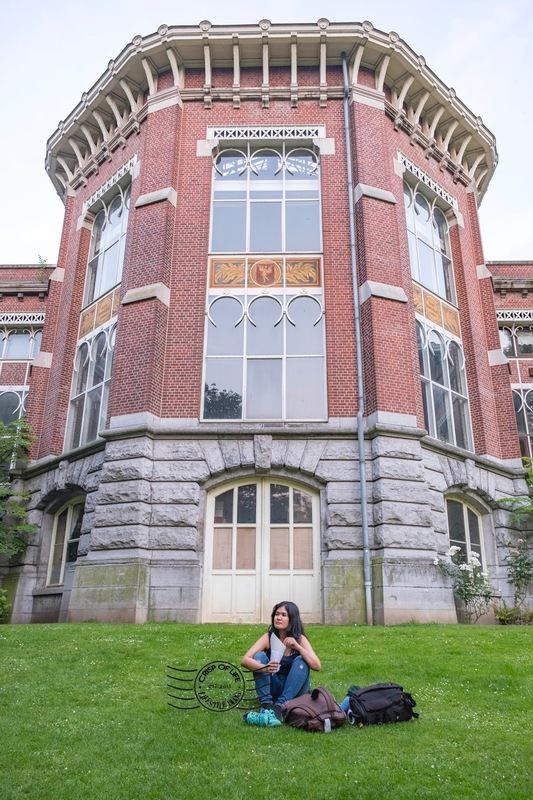 It is located near to Friture Pitta de la Chapelle. The 10 hectares (25 acres) Leopold park located near to Maison Antoine is a serene place to unwind yourself. The unique park has a pond and animals such as mallards, moorhens, coots, Egyptian geese and rose-ringed parakeets thrive in this greens among the concrete jungles. 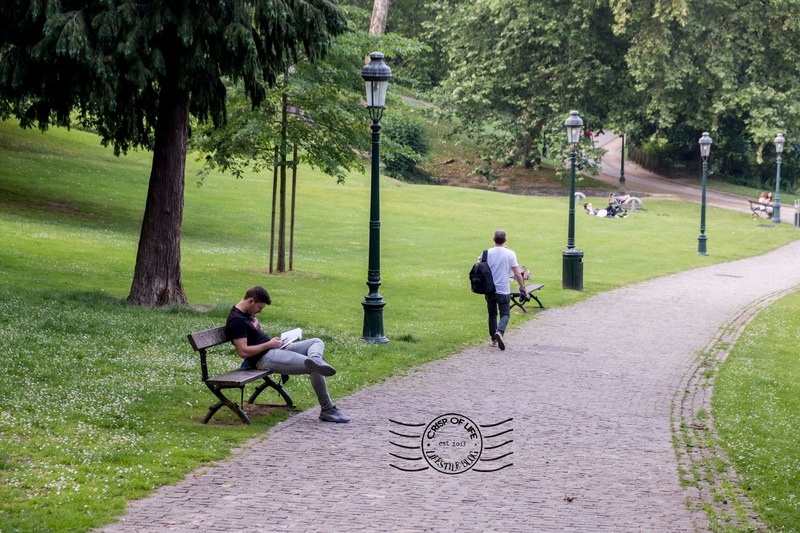 People can be seen lingering around the park, reading books or taking an evening stroll. The Solvay Library is located in the park, alongside with other building such as Royal Belgian Institute of Natural Science. 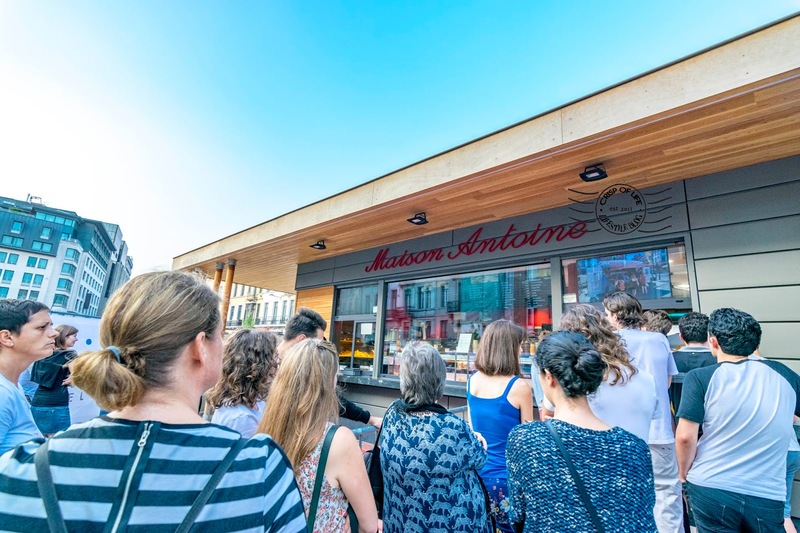 We practically spent an hour here enjoying the French Fries bought from Maison Antoine. 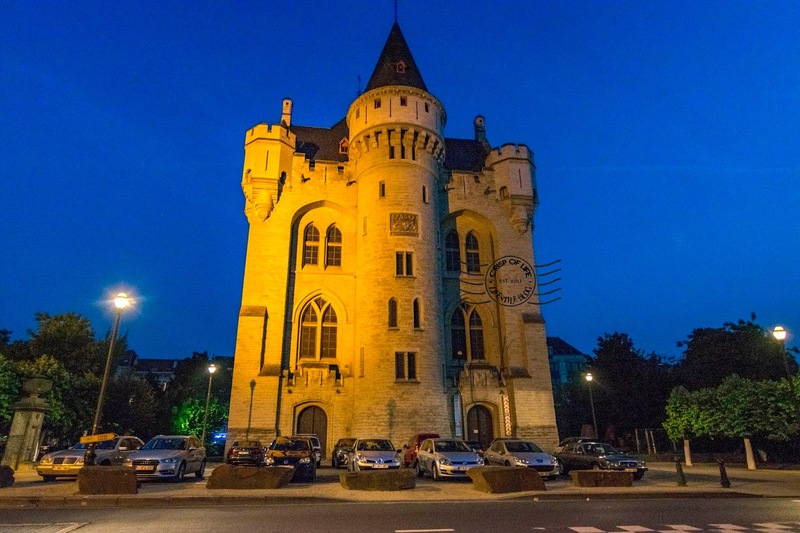 The medieval fortified city gate of the second walls of Brussels has now turned into a museum, part of the Royal Museums for Art and History. Looking at these magnificent architecture made us wonder how the ancient folks pulled off such a project. 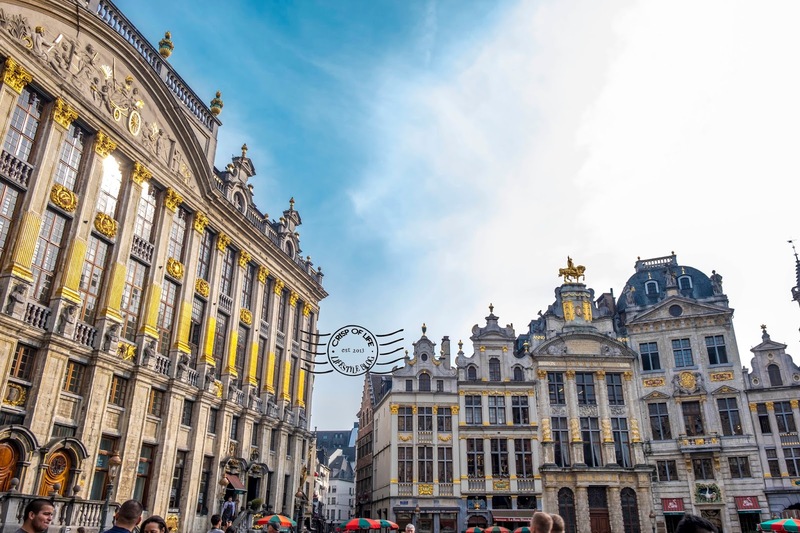 There are many more attractions to be visited in Brussels, such as the iconic Triumphal Arch which we missed out unintentionally, Atomium, Mini-Europe, Autoworld and etc. 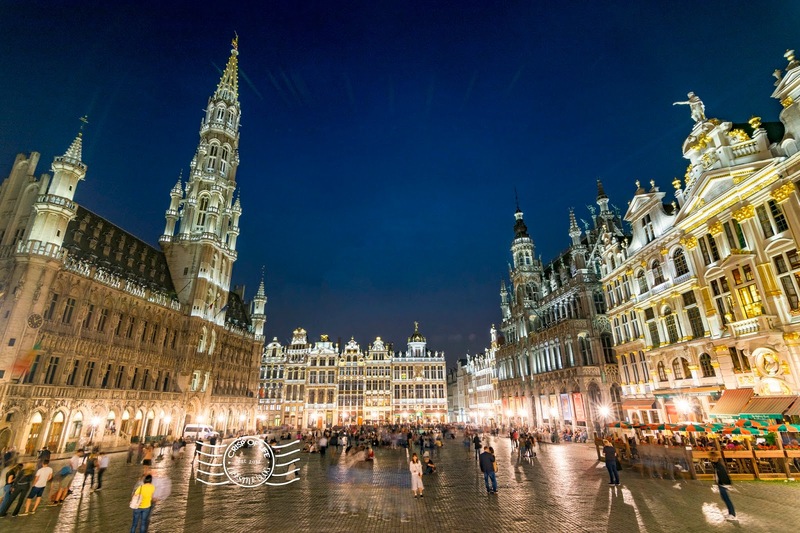 Check out Visit Brussels official website for more information! 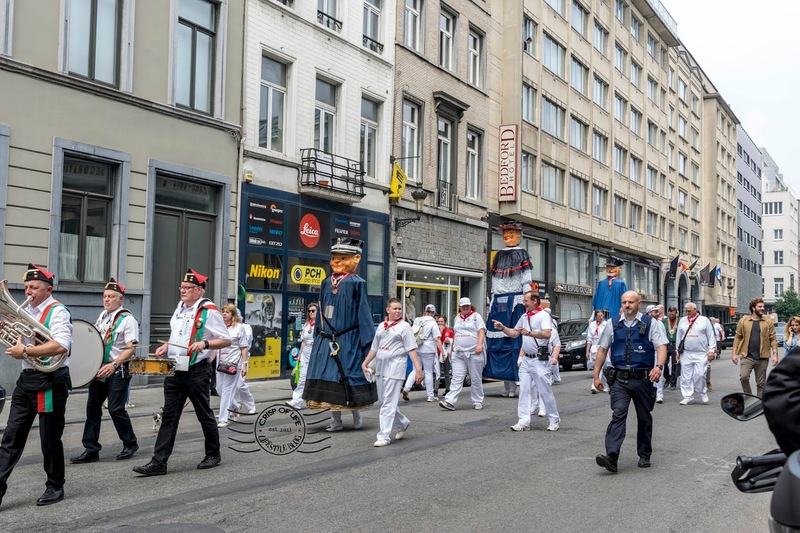 We took some time to stroll around in the city and spotted some procession, and there many more beautiful corners in the city you can explore. 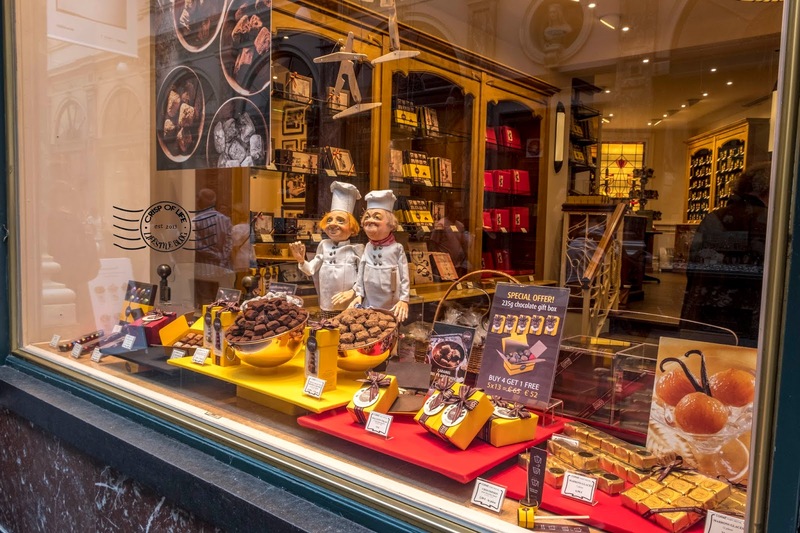 Take your time slow, enjoy yourself in the capital of Belgium whilst exploring the finesse of the cuisine here. 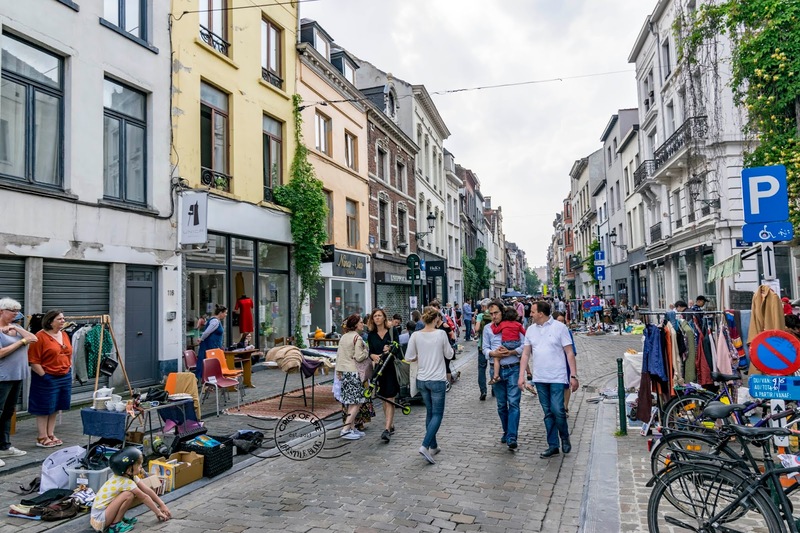 Generally the people in Brussels speak French with little or no understanding about English, and you can try to ask them whether they speak English in French by the phrase "pouvez-vous parler anglais?". If they answer "oui", then it is a yes. We stayed at Hotel Ibis Brussels Centre Gare Midi for 3 nights consecutively (including a day trip to Ghent). 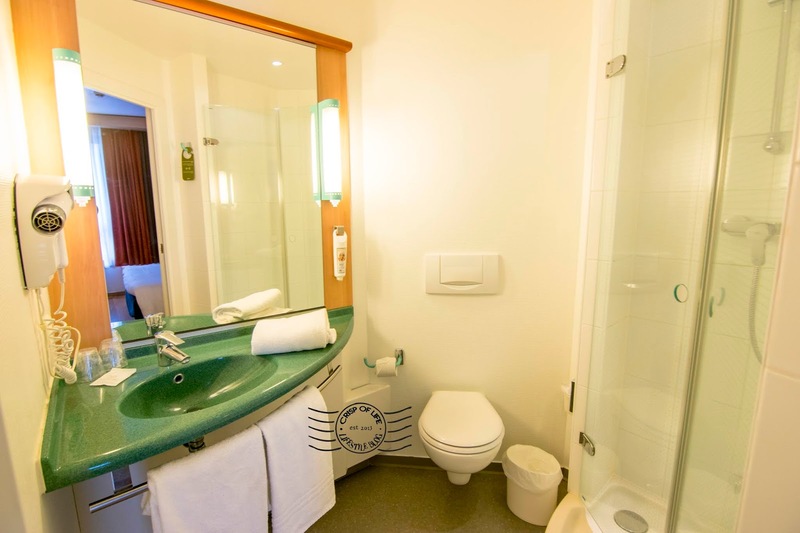 The choice was made due to the hotel close proximity to Gare Midi, and its relatively budget price tag. Room is alright and comfortable, with every basic thing you need is there. 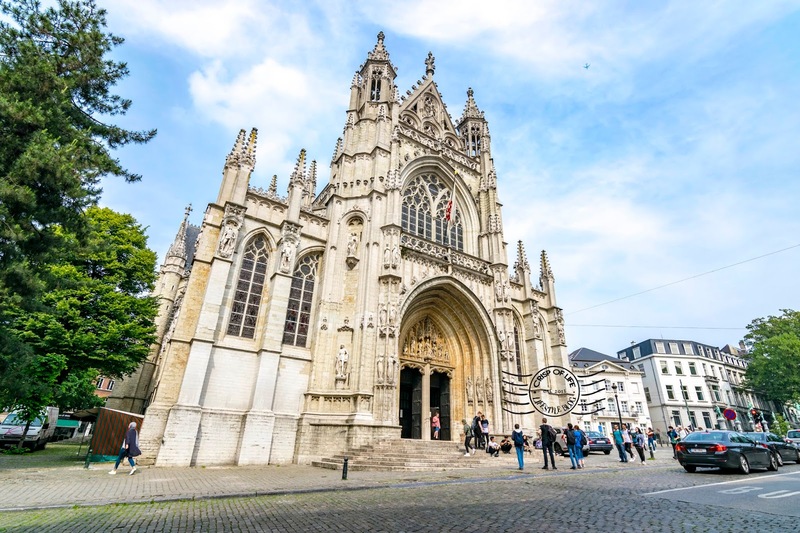 Read on to our next article on our day trip to Ghent!